Laurie Here - Contemporary Fiction and MORE - Book Reviews: Midwinter's Eve #GIVEAWAY #BLOGHOP NOW to 12-31-15 at midnight! 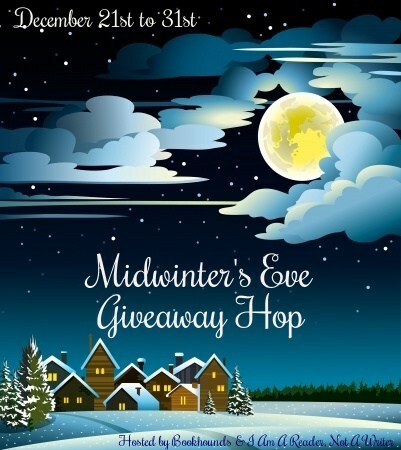 Midwinter's Eve #GIVEAWAY #BLOGHOP NOW to 12-31-15 at midnight! Welcome everyone!!! Thanks for stopping by! I want to wish you EVERY Merry and Happy Holiday there is between now and the end of the year! We are going into Winter now, so this is the PERFECT Hop for that! I want to wish all of you wonderful time spent with your families during ALL of these different holidays we all observe! Okay! What am I giving away? 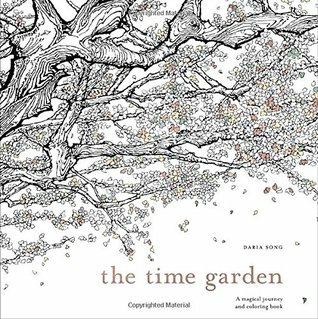 The Time Garden by Daria Song - Waiting for YOU to color it!!! I am doing this review after I post this, so I'll come back and edit in the review link so you can click on it, OR, you can look in the Review Archive in the RIGHT SIDE COLUMN! This is a coloring book for ADULTS! You'll LOVE it! It has a little bit of a story to it, and don't worry, the drawings/the art to color is GORGEOUS and not offensive but BEAUTIFUL!!! Wow! I just can't say enough for this book! It is SO relaxing! I used to go online and search for medallions to color online, but you cannot easily find them anymore. This is why - they are in BOOKS now! Let this be a Christmas gift for YOU! . . . more to come!!! YOU MUST FILL OUT THIS FORM BELOW! After filling out the form, please scroll down further on this page and you'll see the other blogs in this Hop! Make sure to HOP over to all of their Giveaways, too! Here are the rest of the blogs in this Hop! Good luck! You're welcome! It truly is my pleasure! I LOVE being able to offer giveaways! I hope you and the family had a WONDERFUL Christmas and New Year!